There are unconfirmed reports that Scott mentioned this name as the new song title that will be featured on the Spiderman movie soundtrack. This is why they are supposedly holding off on releasing 'Wonderful.' The song, according to Scott, has a harder sound and the new STP album will be "taking it back to the basics." Q: I was wondering if there was ever another career path that you had considered pursuing instead of being a musician? Scott: No never. I always told my parents that I would go back to college if it didn't work out, however I really couldn't conceive of doing something else. Q: I would like to know what your take is on all of the mp3 sharing going on. Scott: I think it's an excellent way for people to get a hold of rare music. Q: 'Naked Sunday' is about your stance on Religion, but how has it changed in the past 10 years? Does having a family change your views any? Scott: Naked Sunday is about my feelings towards organized religion of the Dogmatic and oppressive nature, which really isn't about spirituality or God at all. It's about power. Q: I was reading an interview with you in the UK magazine Kerrang!. It asked you what STP song did you think was the worst and you said 'Ride the Cliché'. I was just wondering what you don't like about it because I think it's a great song and I know lots of other STP fans do to. Scott: I don't like every song ever written by anyone let alone myself: As a matter of fact, I don't even like every song ever written by the Beatles. Q: What goes through your head when you go on stage in front of a crowd of screaming, crazed fans? Scott: Most of the time I'm lost in the moment, which is how I prefer to be. However, when I'm ultra aware, it can be an agonizing experience. Q: My question to you is how did you come up with all of those crazy moves you do on stage?? Scott: Borrow and steal! James Brown, Iggy Pop, Mick Jagger, Middle eastern belly dancing-Tai-Chi meets urban punk rock soul brother boogie. Q: I was wondering what is it like performing in front of all your fans (or not fans)? Can you tell us the differences between performing back in the core/purple/tiny music days, as compared to performing in the No.4/Shangri la days? Also, what was it like during your solo record to go on stage? Did you ever go to a talk show concert, and if you did, what did you think? Scott: We are 100 times better live now then we were then. We've discovered ourselves and evolved into a completely different monster. I was extremely wasted during 12 Bar Blues, therefore my memory doesn't serve me to well. I think Talk Show was 3/4 of the way to greatness. Q: I was just wondering what you meant when you said you're sorry you turned your back on your fans? And why do you say Shangri-La Dee Da was rejected...Shangri-La Dee Da was a great album. Scott: I agree. Shangrila was an artistic statement for us. It came from an honest and vulnerable place. But don't fool yourself, even some great albums are overlooked. Q: I have always wondered what song for you holds the most meaning to you. Out of everything we as fans have heard what is the song that you find most personal to you. And while I'm on the subject what is your best album you ever put together in your opinion? Scott: I would have to say that the most painfully honest song that I've ever written was either "Adhesive" or "The Date." Out best album was either Purple or Shangrila. Veteran modern rock outfit Stone Temple Pilots has confirmed a 16-date spring U.S. tour, comprising a mix of festival and headlining appearances. The trek begins April 12 with a previously announced stop at the Rock For The Roses benefit in Austin, Texas, and is scheduled to wrap May 5 at Memphis' annual Beale Street Music Festival. STP is reportedly gearing up to begin work on its next Atlantic studio album, which will be the follow-up to last year's "Shangri-La Dee Da." That set debuted at No. 9 on The Billboard 200 and has been certified gold by the Recording Industry Association of America for U.S. shipments of 500,000 copies. Fans can also hear STP on Elektra's upcoming "Family Values Tour 2001" live album, due May 7. Although the group's "Wonderful" was originally scheduled to be the set's first single, Elektra has opted to send a sampler featuring various album tracks to U.S. radio outlets for airplay consideration. The set also sports songs from Linkin Park, Staind, Static-X, and Deadsy. While they won't have Linkin Park and Staind along for the ride this time, Stone Temple Pilots will return to the road next month for a 16-date tour. The band, which headlined the Family Values Tour last year, will make several festival appearances and will play more intimate headlining gigs dubbed "A Night With Stone Temple Pilots," according to the group's management. STP tentatively plan to spend the summer working on their sixth album, but got a head start earlier this month when they laid down a track in Los Angeles. A live version of the fatalistic love song "Wonderful" from their latest CD, Shangri-La Dee Da, will appear on the upcoming compilation Family Values Tour 2001. The rendition, which features Linkin Park vocalist and longtime STP fan Chester Bennington on backup vocals, arrived at radio last week. The third CD to be spawned from the Family Values Tour will also include the STP live favorites "Vasoline," "Wicked Garden" and "Creep," the latter featuring Staind frontman Aaron Lewis (see "Aaron Lewis Assists STP, Linkin Park On Family Values CD"). The Pilots have a few other projects in the pipeline, both personal and professional. Singer Scott Weiland and bassist Robert DeLeo continue to work on material for solo albums, while Weiland is preparing to become a father for the second time. His wife, Mary, is due to give birth to a baby girl in July. Their first child, a boy named Noah, was born in late 2000. Jerry Cantrell of Alice In Chains fame recently collaborated with Saliva frontman Josey Scott and Nickelback frontman Chad Kroeger on a new track entitled "Hero". The song is expected to be featured on the soundtrack to the upcoming live action film adaptation of the legendary comic book "Spiderman", which is due out in stores on April 23rd through Sony, while the film itself will land in theaters in early May. Other songs tentatively marked for inclusion on the soundtrack are Alien Ant Farm's "Bug Bites", a solo track by Slipknot frontman Corey Taylor entitled "Bother" and a new song from the Stone Temple Pilots. Stone Temple Pilots will be playing various festivals this spring, including Atlanta's Music Midtown, but the band is taking the summer off. Singer Scott Weiland told LAUNCH that the band actually turned down the OzzFest in favor of hitting the studio. "You know we were asked to play the OzzFest, but we turned it down," he said. "And it's not because we don't think OzzFest is a viable tour, it obviously is a viable tour. It's been around for quite some time, now and it's pretty successful and not to mention lucrative. But lucrative is not always the best reason to do a tour. I think we're more interested in the music that nobody has heard yet. And a lot of music we haven't even heard yet ourselves. In a sense I'm hinting around that we're looking towards making another record." Stone Temple Pilots' last album, Shangri-La Dee Da, went gold as certified by the Recording Industry Association of America for sales of 500,000 copies. 04.27.02 Charlotte, NC - Uptown Charlotte - Cityfest Live!! Stone Temple Pilots singer Scott Weiland is making room for his second child--a girl--later this year. Weiland told LAUNCH how he and wife Mary are preparing for the new baby's arrival. "The experiences that I've learned from raising my son, Noah, who's almost 16 months old, are the ones that will prepare me for raising my daughter-to-be's young life as well," he said. He added, "We know how to do it fairly well, now. I mean my son is healthy...It amazes me that he is happy and he is fed and that he gets to bed at the usual time every night. It sort of lets you know, 'My God, how did this ever happen?' I'm actually a parent and a pretty good one." He concluded, "I never took a class on how to be a parent. I was really worried that I wouldn't know what to do or that I was too self-obsessed of a person to actually commit myself physically, emotionally, and spiritually to another person who is totally dependent on me. I guess it's animal instinct. You make the right decisions every day and life moves on." Stone Temple Pilots will tour in the spring, but plan to be off the road around the time of the birth of Weiland's daughter in late spring/early summer. 'Wonderful', the first single from the upcoming Family Values Tour 2001 CD, goes to radio on March 20. Be sure to call and request it! Stone Temple Pilots have four songs on the forthcoming Family Values 2001 album, two of which feature guest appearances. Linkin Park vocalist Chester Bennington is featured on STP's "Wonderful," which will be the first single off the collection. STP frontman Scott Weiland told LAUNCH how the pairing came about. "Chester was coming out on stage with us pretty much from the onset of the tour performing 'Dead And Bloated' with me. He's younger than I am by a few years, and STP is sort of the band he grew up with, along with a couple of others. Before I even met him I read a lot in the press, in magazines and such, as far as what his feelings were towards STP and the kind of effect and influence it has had on him," Weiland said. "So, we were pretty honored to hear that and to meet him. And when he was interested in coming up on stage we thought it would be kind of fun." Family Values 2001 is slated for release May 7. It also features Stone Temple Pilots classics "Vasoline," "Wicked Garden," and "Creep." The latter track features vocals from Staind 's Aaron Lewis. Elektra has set a May 7 release date for the "Family Values Tour 2001" live album, the third such release to document the rock-oriented trek. The set sports a variety of tracks from last year's tour participants Stone Temple Pilots, Linkin Park, Staind, Static-X, and Deadsy. STP's "Wonderful" will serve as the first single and will be sent next week to U.S. radio outlets for airplay consideration. A video treatment is being developed and may include live footage from the tour. STP's other tracks are "Vasoline," "Wicked Garden," and "Creep," the latter with a guest spot by Staind frontman Aaron Lewis (footage of that pairing is available on STP's official Web site). Linkin Park contributes "Runaway" and "One Step Closer," also featuring Lewis, while Staind itself offers "Fade" and the rock radio smash hit "It's Been Awhile." Among the other oddities are Lewis' solo rendition of the Pearl Jam ballad "Black" and Deadsy's cover of the Rush classic "Tom Sawyer." Interscope's album from the 1999 Family Values tour helped launch Staind into the spotlight with the acoustic version of "Outside," performed by Lewis and Limp Bizkit's Fred Durst. That track hit No. 1 on Billboard's Mainstream Rock Tracks chart and No. 2 on the Modern Rock Tracks tally, and later reappeared in a full band version on Staind's 2001 Elektra album "Break the Cycle." In related news, Stone Temple Pilots is planning a series of live shows for the month of April. As previously reported, one of those will be an appearance at the Beyond 2002 Super Festival, running April 12-14 in Miami.  The first single from the 12-track CD will be Stone Temple Pilots' "Wonderful," which goes to radio on March 20. STP Tour Announcement Coming Soon! Stone Temple Pilots are currently planning on playing several dates beginning in April. One stop that is known is shown below. Stone Temple Pilots, Fatboy Slim, and Third Eye Blind have joined the lineup of the inaugural Beyond 2002 Super Festival. The April 12-14 event will present artists on five stages at Miami's Bicentennial Park. The addition of STP and Third Eye Blind, as well as Less Than Jake and Dubcat (featuring members of the Long Beach Dub All-Stars/Sublime) raises the rock quotient of the festival, which already boasts hip-hop acts Outkast, Snoop Dogg, Ludacris, Busta Rhymes, Method Man, Ice-T, Afrika Bambaataa, and Slick Rick; and electronic artists Rabbit in the Moon, Jackel and Hyde, and Monk. Also confirmed is comedian Carl Payne ("The Martin Lawrence Show"), who will host the April 12 festivities. Beyond 2002 will also feature DJ, MC, and B-Boy battles, graffiti muralists, and extreme sports demonstrations with such notables as skateboarders Bucky Lasek and Andy MacDonald, BMX bikers Jay Miron and Thad Miller, motocross riders Kenny Bartram and Trevor Vines, and snowboarders Ricky Bowers and Matt O'Conner. The music video for STP's 'Wonderful' is from their live performance with Linkin Parks' Chester Bennington. The video is to include live footage from the performance with Chester performing with the band. The Brothers Strause are being eyed to direct. Q: How is the solo album coming along and do you plan to release it in the near future? Also, will you sing on your solo album? Robert: I am compiling a number of songs that have not made their way onto STP records- not because they're bad songs- just because they never found a place. Though they're different from STP, they still mean a lot to me. I'll be releasing this when the time's right. I'm playing everything but drums, and still trying to figure out whether my voice is best suited for these songs. Q: What ever happened to the music that you wrote for Ozzy Osbourne? Robert: I went into the studio with Ozzy, and wrote 3 songs which were never used. But I got a chance to meet one of my idols- which is always an amazing experience. Q: Who and what inspired you to play music and how long have you been playing? Robert: Ever since I was about 3 years old, music has touched me. And being the youngest of my family, I was influenced by all my older brother and sister's music. When Dean got his first guitar and I watched him play, along with the music I was raised on, I knew I wanted to do that. I've been playing guitar since I was 15. I started bass at 16 by chance because Dean's band needed a bass player. There's so many different kinds of music that inspire me to play. Q: On your signature bass by Scheter, it has two knobs (volume, tone); and on your main Shecter bass you had a finger rest and another knob. What does that other knob do? Is it another tone knob? Robert: My Schecter basses all have 3 knobs- 2 volume for each pickup and one tone. Q: What shows did you attend while you were growing up in the Garden State. Did you ever attend any concerts at the Meadowlands? Is it weird returning to NJ as the big rock star that you now are? Robert: I went to as many concerts as I could growing up in NJ. My very first concert was The Carpenters when I was 6 at the Garden Sate Art Center. I also saw Kiss at Madison Square Garden when I was 12. I also went to see Styx and Journey at the Meadowlands when I was in high school to try to get with this girl I had crush on. I love going back to my home town. I try to get back at least once a year. It keeps me grounded. Q: What was going on in your mind and/or life when you wrote "Daisy". What emotion does the song express for you? Robert: "Daisy" kind of sums up how I was feeling about my life at the time - sad.